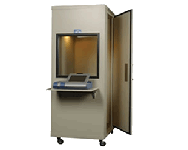 Calibration monitor made by Monitor Instruments to meet OSHA's daily audiometer calibration requirement. This bio-acoustic simulator can be wall or table mounted. 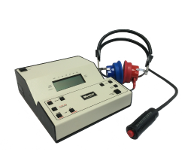 Lightweight, durable, and with automatic shutoff, it has both response and power indicators.